Fling was awarded her 1A prize as a two year old at the 2013 Hanoverian Inspection and Show. Her dam, Liesel, was awarded “Elite Family Mare” at the same show. 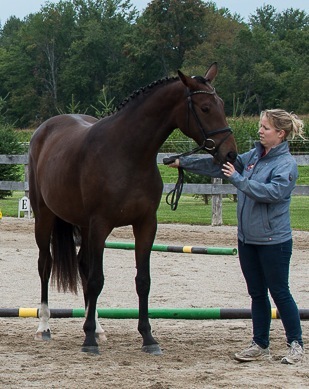 Fling completed her performance test at the 2014 Hanoverian Inspections in Rockwood Ontario with the top score for 3 and 4 year old dressage horses. Shown in the video below is Flings 2016 Fabregas foal.